Folks, we need to talk about the 2018 action thriller movie The Commuter for a moment. Have you seen it? The film stars Liam Neeson as an insurance salesman/former police officer who’s dragged into a murder conspiracy after meeting a mysterious woman while on his daily commute home. 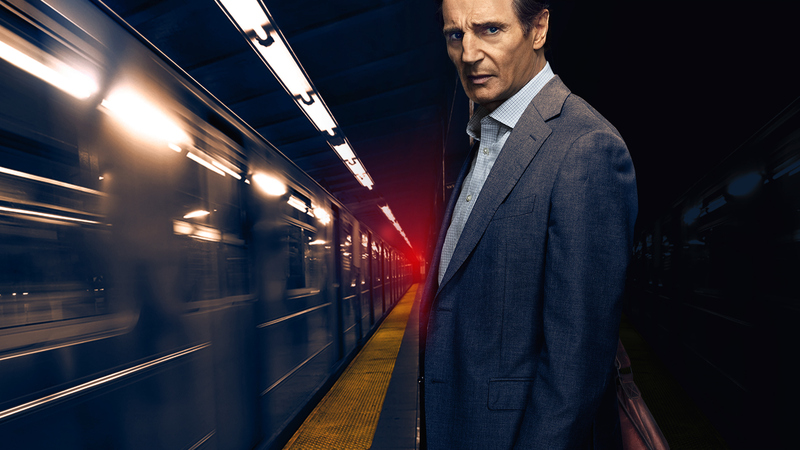 So I actually haven’t seen The Commuter, but because I’m a fan of both Liam Neeson and the movie Taken, I know I’ll eventually watch it despite mixed reviews. Speaking of reviews, that’s not what this post is about. I’m not here to review a movie I haven’t seen (that would be crazy). While I was browsing movie posters online (because that’s an everyday thing I do), I found sixteen different posters of The Commuter, designed by the creative advertising agency LA. Out of these sixteen posters, seven of them—to me, at least—best exemplify the 7 elements of graphic design. I’ve also included a handy infographic from online with more detailed definitions of each design element. Plus, who doesn’t like infographics? Now let’s get to the movie posters, along with the design element(s) they illustrate so well. Although the red in this poster is menacing, you can’t help but notice the stark contrast of the yellow typeface and how the color is used again to highlight the man’s silhouette in the open train door. If the poster’s tagline wasn’t proof enough, then allow your eyes to travel the multi-directional lines. Not only do the lines imply motion, but they’re also symbolic of the lines we see in maps that represent train routes. When it comes to space and design, it’s what you don’t include that’s just as important as what you do. In the poster above, negative space is applied to the structure of the commuter train, which places emphasis on the passengers inside. Did you notice the man on the far right holding a gun? I sure didn’t. The moment I saw this poster, I could feel the rough cardboard texture that made up the tunnel and railway carved into it. But why cardboard? Maybe if I’d seen the movie beforehand, I’d have a better idea of the significance (if any). My best guess for now: the image above is reminiscent of a shooting target. Are you noticing a pattern among the posters? Most of the characters featured, including their surroundings, are either silhouettes or shapes. What message do you think the designer is conveying with the use of irregular, faceless shapes that portray passengers on a train? Usually when something is reduced in size, it loses prominence as well as our attention. In the case of this poster, when that something is a full grown person, all eyes are drawn to what is clearly the focal point. The bright red shape cast over the protagonist further emphasizes his importance and even hints at the film’s murder conspiracy plot. Value is used to achieve depth in a design, but it can also lead the viewer’s eye through a design, highlighting areas of emphasis. What elements in the poster above did your eyes land on first? I couldn’t help but notice Liam Neeson’s face, shoulders, the veins bulging out of his hand while he grips a briefcase, the film’s title and the surrounding typography. During its theater run, The Commuter made approximately $119 million at the worldwide box office. You can likely attribute the film’s success to Liam Neeson’s star power and the appeal of the action thriller genre among foreign audiences, but I believe the promotional campaign played a huge role by provoking interest in the film itself through subtle yet effective details of design. Through the elements of design, each film poster supplies a plot point, theme, or character trait. Good design tells a story, but great design will leave you with wanting more. To see the rest of the sixteen posters for The Commuter, check out the complete gallery. The Commuter is available now on DVD and on demand.